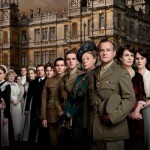 Home » Actors/Actresses » Drama » Dowager Countess overheard at 2012 Emmys – "What is an EMMY?" 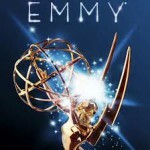 Dowager Countess overheard at 2012 Emmys – "What is an EMMY?" There was a definite British Invasion at the 64th Annual Emmy Awards with nominations in numerous categories for Downton Abbey, Sherlock and Luther. 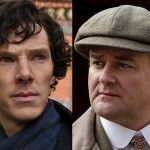 Having moved this year from the Drama Series category instead of the Miniseries/Movie category, Downton Abbey picked up sixteen total nominations while the brilliant Sherlock received 13 nominations. Unfortunately, 2012 will forever be remembered as the year of ‘it was an honor to be nominated’ for the British television nominees at the 64th Emmy Awards ceremony held in Los Angeles Sunday evening. While I haven’t seen all the entries in all the categories this year, without sounding bitter, I find it difficult to understand how Sherlock was shut out across the board both in front of and behind the camera. Full disclosure…I haven’t seen Game Change, but it better be good to best both Sherlock and Luther for the best Miniseries/Movie Emmy. And, since I flat out refused to see Hatfields & McCoys all I can say is ‘Really?’ when thinking about the notion that it was Kevin Costner over Benedict Cumberbatch (Sherlock) and Idris Elba (Luther) for Outstanding Lead Actor In A Miniseries Or A Movie category. In addition to Smith, British actor Damian Lewis won the Emmy for Best Actor in a Drama Series for his performance in Showtime’s Homeland series. Lewis plays an American soldier who returns home after spending years in captivity in Iraq, and who is suspected of being a double agent. So, congratulations to the winners, Dame Maggie Smith and Damian Lewis and congratulations to all the nominees from Team Downton Abbey, Team Sherlock and Team Luther, you represented British telly way more than the voters were willing to admit. 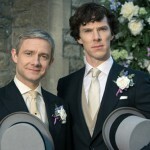 It's a 'Sherlock' sweep at the 2014 Emmys…almost. The Emmys were a travesty, that’s what they were. How Benedict Cumberbatch could lose that Emmy, I will never understand. All that’s been proven by that travesty of an awards show is that the Emmys are dominated by people who can’t seem to accept that there are other, far more brilliant actors and shows from the UK. I’ve watched a lot of US drama shows, and I can honestly say that “Sherlock”, its cast and its writers and production people are the finest I’ve seen in years. That their achievement could have been snubbed in this fashion is unbelievable. After having seen two seasons of Downton Abbey and Sherlock, I thought to myself that I would lose nothing by no longer watching US shows (I don’t bother with the reality shows anyway, and as for comedy, well, US comedy isn’t what it used to be in the days of shows like Benson or MASH or The Cosby Show), and with this Emmy Awards travesty, I am now convinced that I will definitely lose nothing at all. 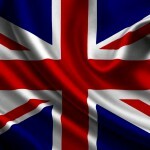 It’s British TV for me, from here on out. Didn’t watch but I did check IMDB for winners and was happy to see Julia Louis Dreyfus win for Veep. Haven’t seen Veep yet but I’m sure it’s awesome since it’s from the fabulous Armando Iannucci. So I count that win as half British. I only wish Thick of It wasn’t so foul mouthed so it could make it into the KERA rotation. Guess Benedict Cumberbatch will just have to hold out for an Oscar if the Emmy’s are going to snub him. Their loss.